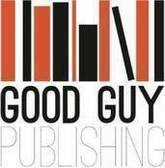 Here at Good Guy Publishing, we take pride in our projects and are excited by what we do and can achieve. Our aim is to help as many organisations as we possibly can and are always looking for new projects to get involved in. We pledge to work our way through the alphabet helping charities and voluntary organisations from A-Z. So if you are part of an organsation or know of one that we could possibly help, drop us a line (you can do that by clicking here). GGP has helped Age Uk through regular donations of books, dvds, videos and Cds, which they sell from their Redcar branch. So if you're in need of a good de-clutter and are wondering what to do with it all, this is the perfect solution. For more about Age Uk please click here. Our Good Guy Graham participated in a head shave on Sunday 17th July 2016 to raise money and awareness for Cancer Research. To visit Graham's justgiving page please click here.